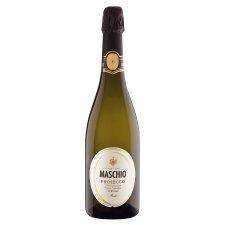 Tescos are offering bottles of Maschio Prosecco for £4.79 per bottle, plus i got a £2.40 discount for buying 10, making it £4.55 per bottle. It is normally priced at £11.99 and it actually scanned through at this price. I told the guy on the till that it was £4.79 online and he gave me the discount after confirming with the manager. I'm pretty sure that this is a nationwide deal, but you might want to call up to check stock at your local. I do have a receipt and can upload this for proof if anyone requires. Actually its £4.55 tesco.com/win…010 by the case from tesco wine but isnt available. Unlikely anyone else will get this in store at this price. Thinnk you have just got lucky. I have used this deal twice now and multiple stores have stock near me so its worth a go.